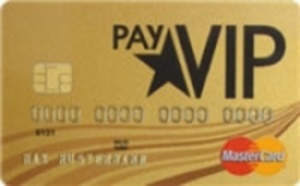 The payVIP MasterCard GOLD provides lifetime free credit card with up to seven weeks interest free credit period.The card can be used worldwide without any charges at more than 1 million ATMs and over 32 million acceptance locations without foreign assignment fee. Free travel insurance, travel credit and toll-free 24 hour customer service number 0800 880 1120 are included. Your online customer portal can be accessed via the input of mein.advanzia.com on the internet. No interest on your purchases will apply if you pay the full amount of the financial statements on or before the date specified in the invoice. Invoices are issued monthly, an amount of at least 3% of the total invoice amount (or at least 30 €) is due on 20th of each one month. Overall, there is an up to seven weeks interest free payment for your purchases. Take advantage of the part payment option, with a monthly interest of 1.53% with effect from the date of the transaction. Cash withdrawals are free of charge worldwide, however this will bear interest from the date of payment, currently 1.79% per month, so far there is no interest-free payment .. If you pay at least 50% of the total transportation costs with an approved transport company with the payVIP MasterCard GOLD, you get free travel insurance. You and up to 3 other fellow passengers are insured for a period from 2 to 90 days. It contains among other things a trip cancellation and travel insurance with trip interruption. The insurance is valid for the European Union residents. The below information is intended as an overview. The detailed conditions of insurance can be found at the bottom of this page.